BBCLabour leader Jeremy Corbyn at PMQs. LONDON — Jeremy Corbyn accused Theresa May’s government of letting the “super-rich few dodges their taxes” while cutting public services during Prime Minister’s Questions. 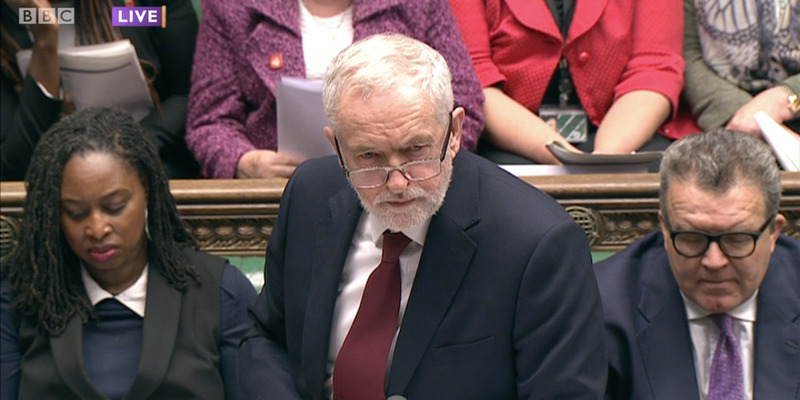 The Labour leader quizzed the prime minister on police cuts, fire safety, universal credit, and tax cuts in the first PMQs since Parliament returned from a short Autumn recess. Corbyn said there are a lot of problems while a “super-rich few dodges their taxes. “Public services in crisis, from police to the fire service, from NHS to schools, while a super-rich few dodge their taxes,” he said. “This is a government protects the super-rich while the rest of us pick up the bill through cuts, austerity, poverty, low wages, and slashing of local services all over the country — that is the reality of a Tory government. Prime Minister May rebuffed Corbyn’s claim that the Conservatives are weak on tax avoidance. The PM added: “Labour have backtracked on Brexit, they have gone back on their promise on student and they would lose control of public finances. Surprisingly, Corbyn didn’t ask a question on Brexit, despite British and EU negotiators struggling to the “sufficient progress” required to move onto the next phase of talks.